I first saw mason jar lid desserts on Dessert for Two. The author Christina made the cutest spiced peach pies with them. I am so amazed by the creative minds out there. I have to admit, I would have never thought of using a jar lid like this. However, I am glad other people do! 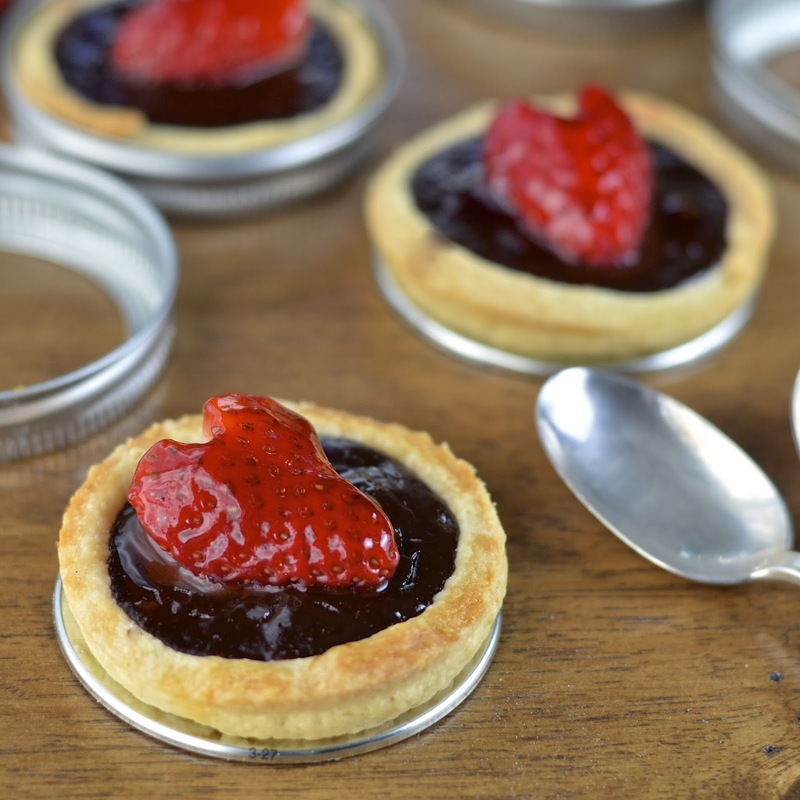 That is where the inspiration for these Dark Chocolate Strawberry Tarts came from. If you look closely at a mason jar lid you may notice that it is put together exactly like a tart pan. When you put the top side down and turn over the inner plate, metal side up, you literally have a mini tart pan. When I came to this realization, I was very excited. To achieve a nice 2 to 3 bite tart I used a regular sized mouth lid that has a three inch diameter. I have to admit, I struggled a bit with the dough. On my first batch, the pâte sucrée recipe I used, collapsed down the sides. I was so sad. After some experimenting with pastry thickness and using pie weights or beans, they worked! I was very excited. Pouring in a rich dark chocolate filling and topping with a heart shaped strawberry was a piece of cake. Wouldn’t this be a nice little treat to give your Valentine? Nothing says I love you like a heart shaped strawberry and decadent dark chocolate. I used California Strawberries (I am so lucky to live in SoCal) and plan to enter this in their current contest for Valentines Day. Wish me luck and if you have a great strawberry recipe check out California Strawberry’s Facebook page for contest rules. *Recipe notes - if you would like the crust to appear more golden brush with an egg wash - 1 beaten large egg. If the sides collapse a little don't worry! You will still have a nice well for the chocolate. There will probably be extra chocolate. 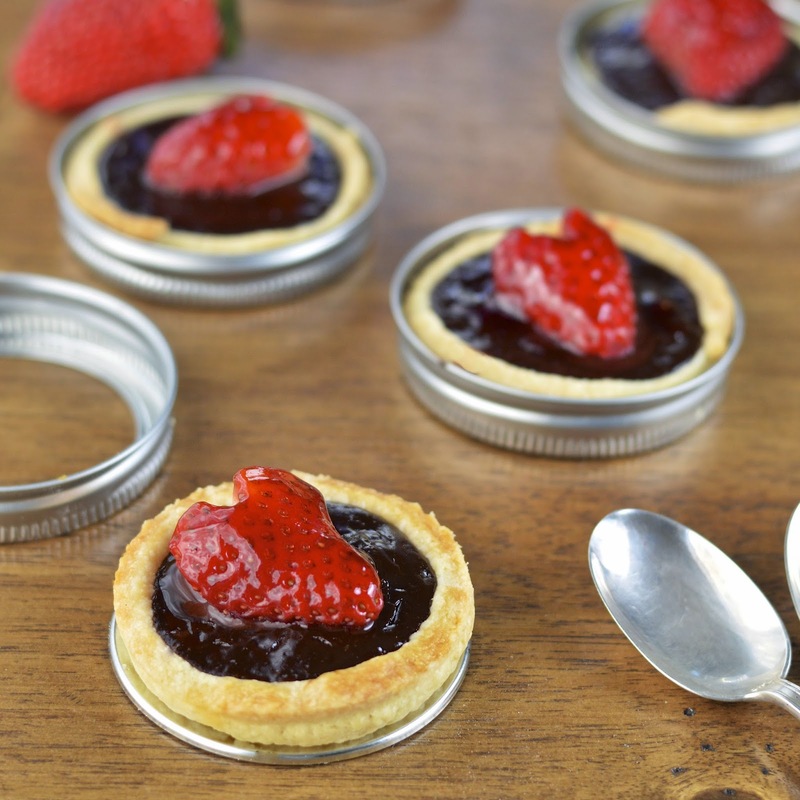 Just pour the chocolate into a small ramekin and bake along side the tarts. You will end up having another delicious chocolate dessert. Lastly, you are only using half of the pâte sucrée. The other half will last up to a month in your refrigerator. 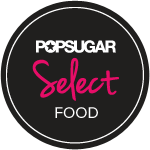 In the bowl of a food processor combine flour and sugar. Add butter and process until mixture resembles coarse meal, 10 to 20 seconds. 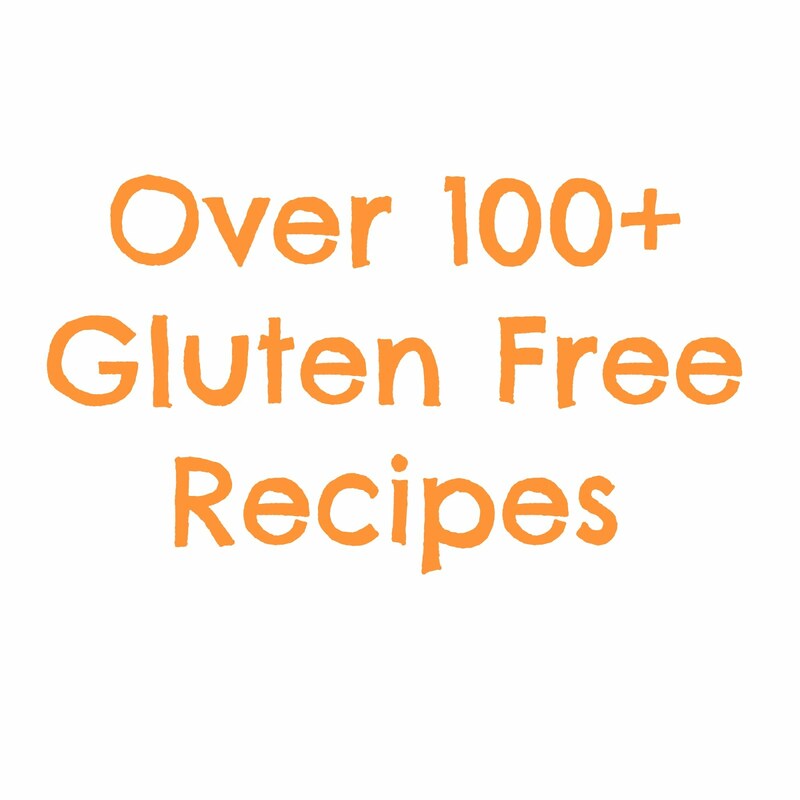 In a small bowl, lightly beat egg yolks with ice water. With machine running, slowly add mixture through the feed tube until dough holds together and isn't crumbly or sticky. Do not process for more than 30 seconds. Divide dough into two equal balls and flatten into disks. Wrap with plastic wrap and refrigerate for one hour. Dough can be stored for up to one month. In a medium saucepan, heat cream and milk, on medium low, until mixture simmers lightly around the edges. Remove from heat and stir in chocolate chips. Stir until chocolate is completely melted. Whisk in sugar and salt. Whisk in eggs until thoroughly mixed. Remove one pastry disk from refrigerator and roll out dough on a lightly floured surface, from center out, until 1/8 inch thick. 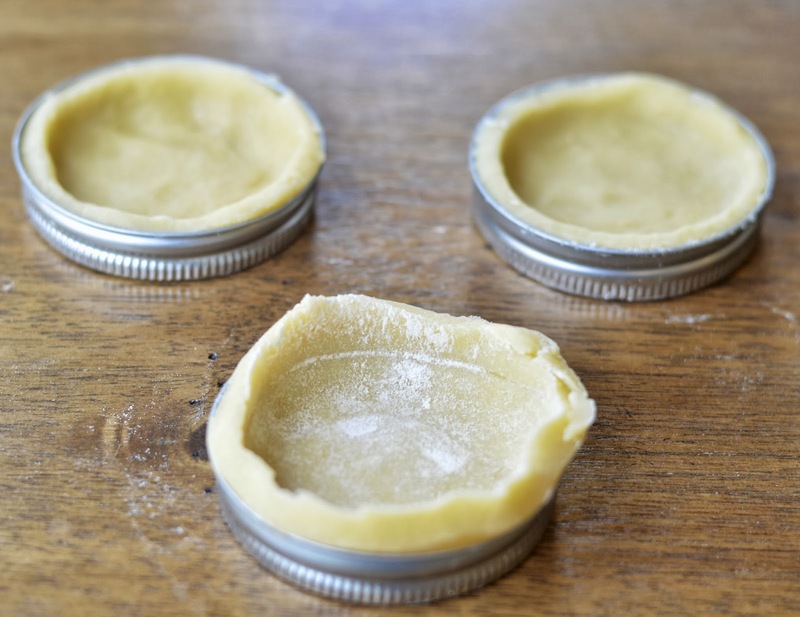 Put mason jar lid on dough as a guide, and with a sharp knife, cut a circle that is 1/4 inch wider around the lid. When you've run out of space, gather up dough and roll out again. With the inner plate faced up (metal side), press dough circle into lid. Press dough in evenly and firmly along rim and on bottom. Shave off extra dough with a knife. Place lids with dough in the freezer for 10 minutes to let them set. Place lids on a cookie sheet and bake for 10 minutes until lightly golden (dried beans or pie weights can be used so that sides don't collapse). Fill tarts with chocolate filling and place back in oven at 325 degrees F. Bake for 15 minutes or until chocolate has set and is glossy. Let cool. Take strawberry halves and cut a small V in the center of the wide side of the strawberry. With a sharp knife, round the edges to create the heart shape. 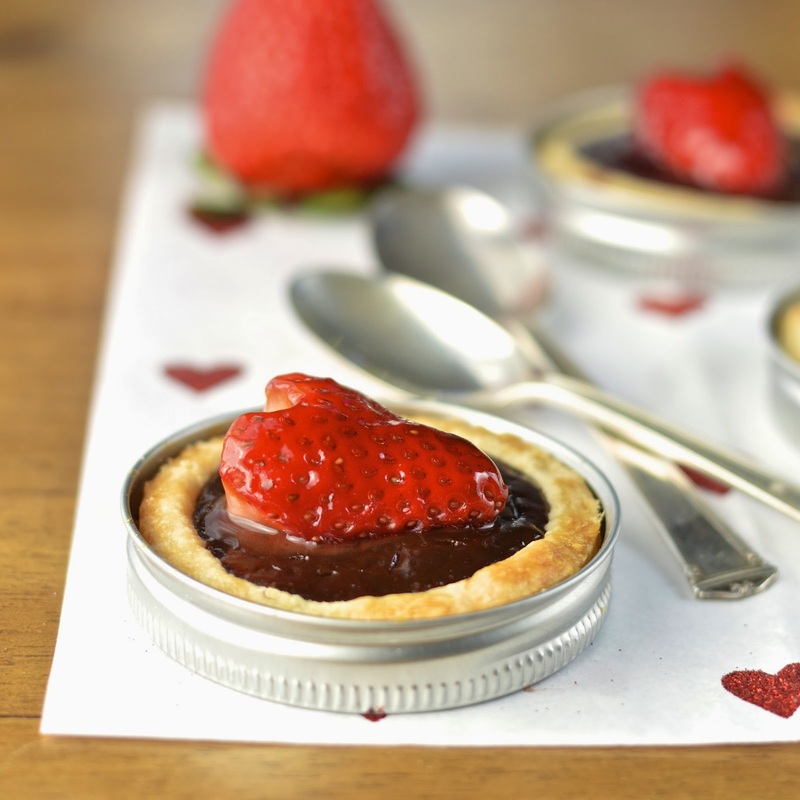 Place one strawberry heart on top of each tart. Microwave preserves for 30 seconds and brush on the top of each tart. That is such a GREAT idea to use the lid as a tart pan, I am just blown away! So adorable!